A rapid update yet again. Apparently, Sony aims to attract attention with a new top smartphone every 6 months. The user can only benefit from it: Although the innovations are small, our test proves that the Xperia Z3 is still a top smartphone. 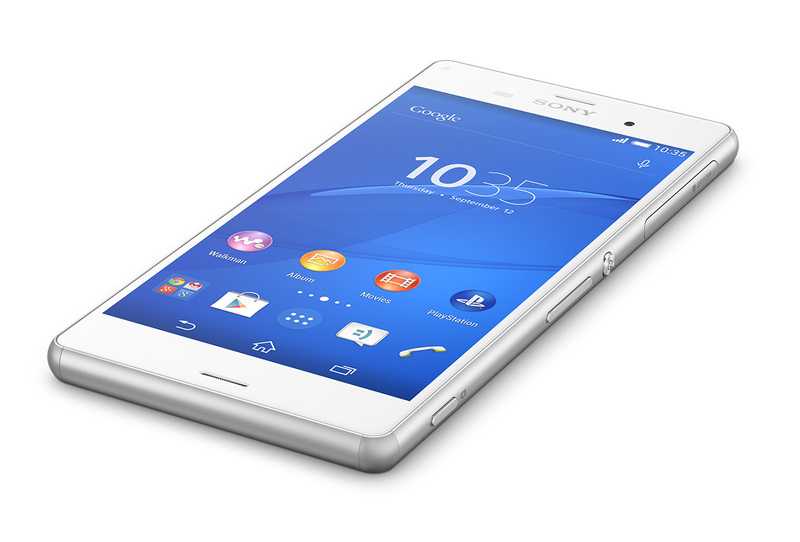 The Sony Xperia Z3 measures 14.5x7x.8cm and weights 155grams. This Android phone is smart and looks that little bit different from the majority, maybe it’s the copper colour of the back and sides and maybe it’s the shape with edges that do not shave away, whatever it is its just that little bit different. The Z3+ is a faster version of an already very fast smartphone, and few users would complain that the Z3 is slow. However, the processor change brings it up to speed with its 2015 smartphone rivals, and we appreciate the extra storage space as standard (and Sony has managed it without removing the microSD card slot). The other improvements are nice, but unless you're a Sony enthusiast there's little here to warrant the expense of an upgrade from the Xperia Z3. In fact, we still highly rate the Z3 Compact - a smaller version of Sony's Z3 with a much more attractive price of £280 (Amazon), and that could well be half the asking price of the Z3+. Mostly, though, we’d still be happy with this phone, and given that we’ve seen at least one 2015 phone with the same sort of Full HD screen and a similar camera (strangely with lower performance on that model), it gives the Xperia Z3 footing to compete against phones from today, not just yesterday. The Sony Xperia Z3 is a waterproof smartphone. This particular model is available in a choice of white, green, copper or black with my review sample being of the latter colour. I have to thank Vodafone for kindly provided the unit that is the basis of this review. When taking the handset out of the box, it was immediately obvious that the Xperia Z3 completely dwarfed by current smartphone. There’s nothing wrong with the Sony Xperia Z3... except for the weird screen calibration, that is. When we think about what it takes to be slapped with the flagship status, it does carry almost all the qualities that come with the territory. It’s beautifully designed, armed with some lovely hardware, highly responsive, and even takes some dreamy photos and videos. Oh yeah, it also has a slight edge in the video gaming department because of its streaming PlayStation service. HTC One M9 vs Sony Xperia Z3 comparison review: What's the difference? Despite being six months apart coming to market, the HTC One M9 and Sony Xperia Z3 are very closely matches phones. Each offers a similar size Full HD screen, 20 Mp camera, great battery life, similar connectivity and a microSD card slot. Overall it's probably worth saving £200 odd by opting for the Xperia Z3 which has the advantage of waterproofing, High Res audio and PS4 Remote Play. However, if those are features that you won't use then the HTC One M9 is a stunning piece of kit which has future-proof power, great speakers and decent software. If you’re looking for a new phone and coming across from another brand, or a much lower-end device, the Xpeira Z3 is an excellent choice, by far the best the company has ever produced and the best of the Xperia flagship set so far – I would pick this phone over the HTC One M8 any day, and it’s more premium feeling than the Samsung Galaxy S5 and LG G3, but on a par in other respects – meaning it’s really very good indeed. 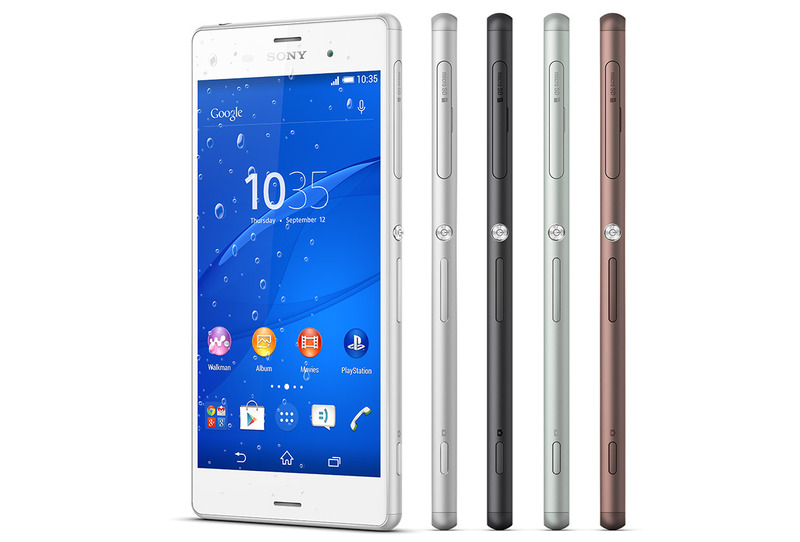 While it doesn't seem like very long ago that Sony released its last flagship device, and while it doesn't bring many updated features, the few it does make the Xperia Z3 the best smartphone Sony has ever released, proving that the firm is getting better at developing good, sturdy and stylish smartphones that are built to last. The Sony XPERIA Z3 is an excellent evolution of the XPERIA line, and it is fair to say that Sony has improved virtually every aspects of the remarkable XPERIA Z2 handset. If the XPERIA Z3 shipped closer to its launch date, its success would have been much more representative of the kind of product it is. As of now, the delay between launch and worldwide availability remains Sony’s main weakness in a very dynamic handset market. A lot of Sony's mobile hopes lie on the success of the Xperia Z3. It has built an excellent smartphone with some truly superb specifications and a premium design that could make the Z3 one of the most desirable smartphones on the market. But does it do enough to help support Sony's faltering mobile ambitions? Sadly although there is an awful lot to like about the Sony Xperia Z3, there are a few too many little niggles that prevent it from being the best phone it could be. So once again we’re left with an all too familiar story. The Z3 is ostensibly a phone with a lot going for it. It’s a phone I actually really want to love. But once again, the flaws are simply too sizable and numerous to recommend it in good conscience. Here’s to hoping that story will finally change next time. All things considered, the Xperia Z3 and Z3 Compact provide some of the best all-around experiences you can get with Android right now. They offer unusual features like distinctive glass-centric designs and fully waterproof constructions that allow for underwater photography. And whether underwater or on dry ground, their cameras are truly top-notch and capable of capturing some of the finest photos you can get from a smartphone today. The Z3 is Sony's best smartphone yet, and it stacks up well against other Android flagships such as the Samsung Galaxy S5. For my money, it's the one I'd buy. The 1920 x 1080p display is sharp and bright, and photo fanatics will love the superdetailed 20.7-MP camera and dedicated shutter button. T-Mobile adds a cherry on top, with battery life that lasts longer than the Energizer Bunny. The Z3 might not be a significant change-up of Sony’s flagship Xperia formula, but the combination of a bunch of minor tweaks and upgrades has made this handset one of the best on the market. I’ll start with the standout feature of this handset: its battery life. There’s nothing more frustrating than a high-end, powerful device that doesn’t manage to last through to the end of the day. Sony has recognized this, packing a monster battery into a relatively slim smartphone body. The fact that I can use this handset normally for nearly two days without running for a wall charger is something that every smartphone company should strive for. In terms of all-round performance and feature packing, Sony’s Xperia Z3 is a slam dunk as far as smartphones go, packing in plenty of camera, multimedia, and gaming smarts in something still recognisable as a phone. There is just so much here to love, from the top notch display to the premium materials to the excellent battery life and water resistance, and the phone is easily one of the best all year, if not the best. Xperia Z3: Crikey, Sony – ANOTHER flagship phondleslab? With the arrival of the Xperia Z3, it’s now becoming clearer what Sony’s philosophy is regarding its flagship update programme: incremental changes every six months and evolution rather than revolution. As a result the Z3 is by some way the most refined Xperia flagship to date. The new rounded profile makes it much easier to handle than the Z/Z1/Z2 and it’s also smaller and lighter. We’ll say this: if you currently own a Z2, you might want to wait for the Z4, which should land early next year. If you are looking to upgrade your current Android phone, or you want to switch platforms — while not coming from the Xperia Z2 — the Xperia Z3 should definitely be on your top 3 list. It’s got a powerful camera, a good-looking water- and dust-proof build, great screen, excellent performance, and is an all around capable device. 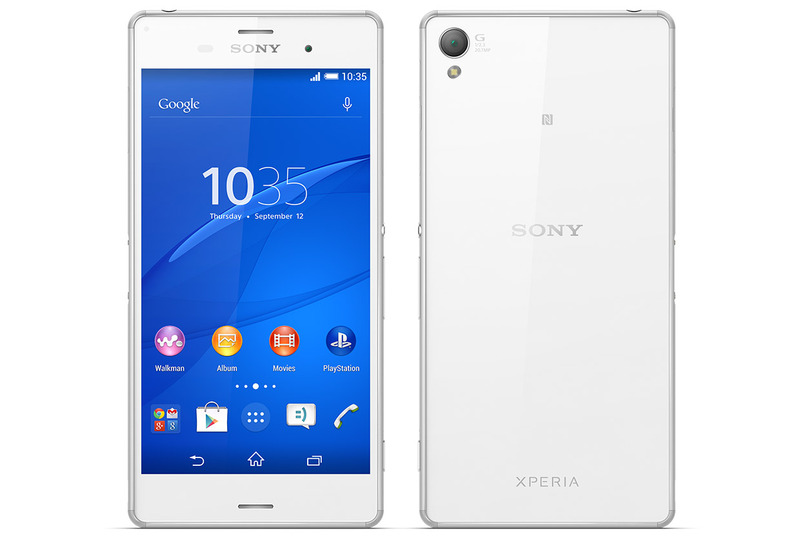 Just like its predecessor, we think the Xperia Z3 is also “worth every penny. This time around, the Z3 is thinner, lighter and is more ergonomic with completely rounded sides and no sharp edges. Small tweaks have made a big difference so although it looks almost the same, it somehow feels like a completely new smartphone. There's a lot to like about the Xperia Z3 and PS4 owners may find this battle a no brainer thanks to PS4 Remote Play. However, at more than £100 less expensive, the LG G3 is our overall winner with its amazing Quad HD screen, excellent camera and premium build. Samsung's Galaxy S5 is getting a bit long in the tooth already, just half a year after introduction, and Sony's six-month upgrade strategy seems like a winning bet when you have to choose between the S5 with the new Xperia Z3 this holiday season. It is slim, stylish, with a higher waterproof rating, and looks and feels way better in terms of design than the plasticky S5, faux leather back or not. Granted, the Xperia Z3 is a tad taller than the S5, but the overall dimensions of both are bearable for one-handed usage, plus you get stereo speakers with the Z3. Samsung's stand-out biometrics, like the fingerprint scanner and the heart rate sensor on the back are an acquired taste, and you might find the superior audio experience on the Z3 more useful in your everyday interaction with the phone. Having criticised the earlier Xperia Z1 and the Z2 models, we feel like Sony has made the right moves in its latest handset. The Z3 gives you the design, the power, the display, the camera and importantly, the battery life. It's the flagship device where Sony has got everything right. It's a subtle change from the previous Z2 device, granted, but one that makes a big difference. There are still some areas we would criticise, such as the tall design and occasional software excess, but overall Sony has done an excellent job. Just like its Z3 Compact sibling this handset sees Sony arrive in at the fore once again. This is the best flagship Xperia phone Sony has come up with, but if you own the Xperia Z2 then there's clearly little reason to upgrade. If you want pretty much all the same features for less and with a smaller screen, then it's also worth considering the Z3 Compact, which costs £399 compared to the Z3's £549 price. This is the best Sony phone so far but for Z2 owners, it's worth waiting out for the Xperia Z4 or whatever Sony decides to call its next Xperia flagship smartphone where hopefully we should see something more radically different. When it comes to multitasking, productivity and media consumption, though, the Note 4 is the undisputed king, with its large ultra high-res display, the extra stylus input, and the split-screen functionality. If you don't need that extra input, though, you will certainly appreciate the Z3's record battery life for the category, and the nicer feeling it leaves in the palm, pocket, and in the eye of the beholder. The Sony Xperia Z3 is undoubtedly a decent and desirable smartphone but Z2 owners will have little reason to upgrade unless PS4 Remote Play or High-Res audio are must-haves. In terms of the wider market, the Z3 is up there with the best and a solid choice even if it doesn't have the amount of bells and whistles which others do. I'll be honest and say that while I know intellectually that the Z1 and Z2 were good phones, they weren't my cup of tea. But there's something about the Z3 that makes it the first Xperia phone I'd be happy to own. As of this writing, my daily driver is an LG G3. That's a phone I've become very fond of. I thought for the period of time I was reviewing the Xperia Z3 that I'd find myself cheating on it with the G3. But I didn't. 80% Has Sony added enough to warrant a Z2 sequel already? Like the Sony Xperia Z2, I don't know why the Z3 doesn't impress me hugely. On paper it's got all the right bits: 3GB of RAM, MHL 3.0, extended battery, high power camera etc. Yet the sum of those parts doesn't wow me in the way it should. Who needs 3GB of RAM when the performance under the finger isn't insanely brilliant? Who really connects up their phone to their TV, when in reality I'd rather have a better sensor on this handset that didn't rely on megapixels but on genuinely improved low-light performance? Until then, consider the Xperia Z3 a comparably priced phone to the best on the market with a lot going for it - just not quite the polished experience I'd hoped for in every area. Although the Galaxy Note 4 outpaces the Xperia Z3 in a number of hardware areas, Sony counters on design and price. There's no clear winner here as these smartphones are so different and will appeal to very different users. Buy the Galaxy Note 4 if you're a fan of TouchWiz and want the S Pen and other additional features like the fingerprint scanner but go for the Xperia Z3 if you want to save some cash on a desirable waterproof phone with good all round performance. Sony’s vision for its Z series of Android flagships was clear. A glass obelisk. Smooth, sleek and waterproof. With an all-metal chassis to keep things strong. The problem was that the initial implementations were let down by corners that were too sharp and uncomfortable in the hand, by a disappointing screen and by an under-achieving camera. Happily, as the Z series has worn on, six months at a time, at least two of these factors have been addressed and completely fixed. Sony Xperia Z3 impresses on most counts. Apart from the heating issue, there was barely anything major to criticise. The camera performance and battery life performance in particular are quite good. The refinements in the design are a welcome change, although we would have liked the use of a grippier material on the edges. So overall a good product, but for one thing – Price! With almost identical core hardware the Sony Xperia Z3 and Galaxy S5 are very similar. However, with more user friendly software, a more premium design and more useful unique features, the Xperia Z3 just about sneaks ahead of the Galaxy S5. The Z3 might be newer than its contemporaries, but the downside of that is that its price hasn't had time to settle. At Rs. 51,990, the Z3 is significantly more expensive than the Samsung Galaxy S5, HTC One (M8) and LG G3. You'll really have to consider whether it's worth the premium over the Z2 which now costs around as much as those phones. In terms of price alone, it will probably be more of a competitor to the iPhone 6, as and when it launches in India. The Xperia Z3 maintains Sony's pedigree of great smartphones and while it does not come with any major changes when compared to the Z2, it is still a worthy flagship smartphone. It has some minor upgrades which makes it better than the Z2 and it also comes with a best in class camera and great battery life. The performance capability of the smartphone is immense and is at par with the other flagship smartphones. Would we recommend the Xperia Z3? Definitely. If you're in for the best-looking waterproof handset with a lot of power, go for the Xperia Z3. The phone also impresses with its battery life and sound quality. The camera quality has improved over its predecessor, but it still has its own share of issues. Considering its Rs 52,000 price tag, we believe that the display could have been better. All in all, if you're looking for a balanced flasghip Android, the LG G3 is a cheaper and better option. Minor touches on the outside have made the Xperia Z3 the most beautiful smartphone Sony has built to date. The curved sides not only look good but help the handling too. The phone is slimmer and the screen bezel has been reduced. The rubber finish at the edges provides better protection against accidental drops. Pity the internals received an equally minor upgrade, which simply doesn't make that much of a difference. The quad-core processor is clocked higher at 2.5GHz, the Adreno 330 GPU is a bit faster too. Sony also upped the dust proofing to IP level 6. The Sony Xperia Z3 is another incremental improvement on Sony's distinctive-looking handset, but these additional tweaks finally give it the means to compete with the rest of the flagship opposition. With its industry-leading battery life, amazing screen and excellent performance, the Xperia Z3 has finally caught up with, and in some ways surpassed, the Galaxy S5, LG G3 and HTC One (m8). Sleeker, sexier and more capable than any Sony handset to date, the Z3 is the smartphone that proves Sony's formula - namely not to compromise on quality in any area. Not on screen. Or camera. Or battery life. Or audio. OK, Xperia Z2 owners will be grumpy and rightfully so. It can't continue pumping out an iteration of its best phone every six months but Sony itself admits this won't be forever. Just till it gets on top, we'd bet. If it isn’t clear, we’re just as bowled over by the Xperia Z3 as we were by its compact little brother. The big caveat is that as it shares so much of its hardware with its predecessor, it may not have the longevity of other devices hitting the market like the Galaxy Note 4. At first read, one might scoff at the seemingly modest Xperia Z3 upgrades against its Z2 predecessor. We are kind of liking Sony's approach, though, as it allows the company to stay on top of the bi-annual Android cycle of spring-fall flagships, while experimenting and improving with greater frequency. The Z3 has a thinner chassis, faster processor, brighter display and better photo and audio quality than the Z2, while keeping everything else great intact. These might not seem significant upgrades each on its own, but the cumulative effect is pretty powerful. The only gripe we have with the phone has to do with Sony's signature thick top and bottom bezels, which makes it largish for the screen size, yet we are willing to let those slide for the waterproof certification, and the front stereo speakers you are getting. Sony has done a great job of making a mini version of its flagship smartphone so getting the Z3 Compact only really means a smaller screen and less money. In fact, unless you want the bigger screen of the Z3, it really makes no sense to buy it over the Compact. Sony might have done too good a job. 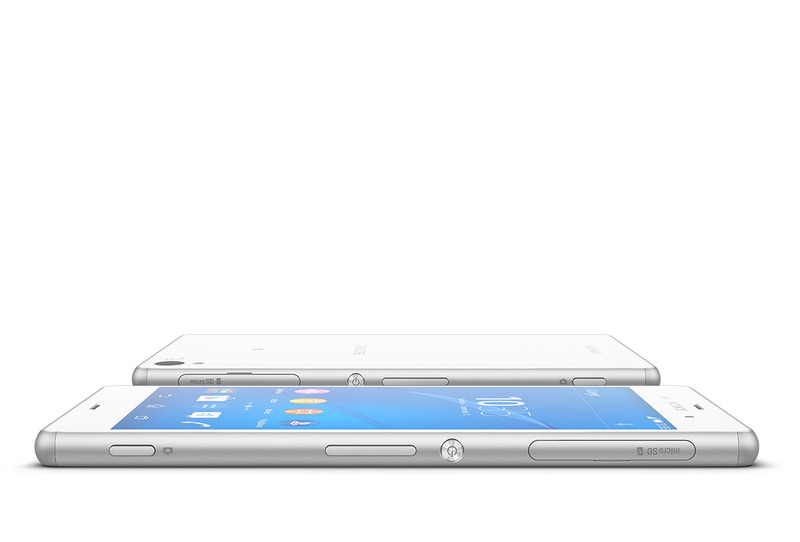 When it comes to the design, the Sony Xperia Z3 has come on leaps and bounds. It's a beautiful device that is lightweight, offered in nice metallic colours and the rounded edges make it a pleasure to hold. It stays true to the Xperia style but it is the best looking flagship phone Sony has offered so far by a long way. Sleeker, sexier and more capable than any Xperia flagship to date, the Z3 might be the smartphone that proves Sony's formula. This is a smartphone that deserves attention. It's supremely specced in all the right places and shows that Sony does care about how people use its gadgets. And it may just be the best all-rounder you can buy. Running on the latest version of Android, the Z3 has 3GB of RAM and 16GB of on-board storage. While we haven't tried out a final version of the phone just yet, navigating around the OS in our hands-on time was slick with no lag at all. Obviously we'll be testing that out further as soon as we can get a full sample in. Sony Xperia Z3 review – daintiness! Alright, at the end of the day, the Z3 is an evolution for the Z2, with whom it shares most traits and features. It focuses on addressing the heft of the previous Z and is now thinner, thus easier to use everyday. And it does change a few aspects here and there, but not all of them are for good (the speaker cuts or the notification LEDs, for instance). Was kann das neue Smartphone-Flaggschiff? 86% Mehr als nur Modellpflege? Positive: Long battery life; great design; solid workmanship. 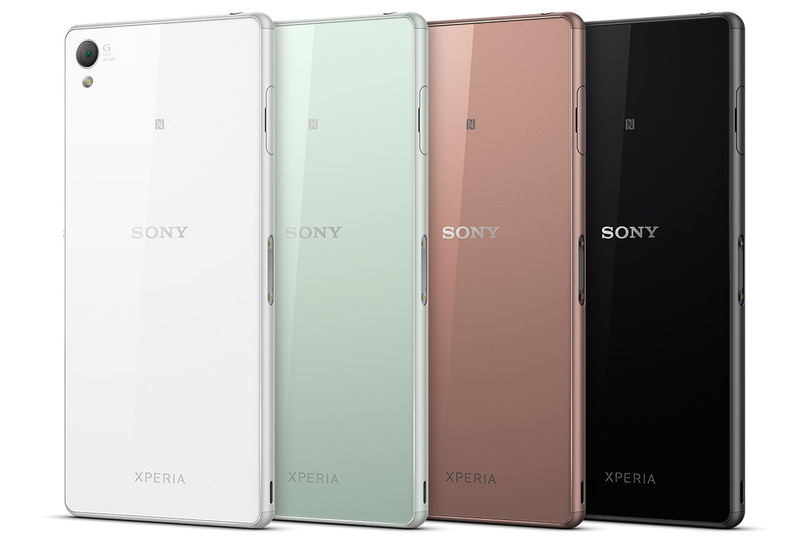 With four colors to choose from, white, black, green and copper, the Sony Xperia Z3 will definitely match individuals. The design is kept fairly simple yet classy with subtle curves enveloping the edges of the device. The smartphone has a glossy back panel, the iconic power button. With its impressive IP65/68 rating, the Sony Xperia Z3 is waterproof and dust resistant. Specifications consist of a 2.5 GHz Qualcomm Snapdragon 801 quad core processor, 3 GB RAM and an internal memory of 16 GB or 32 GB depending on the model. With a MicroSD the storage capacity can be increased by up to 128 GB. The beautiful 5.2 inch FHD TFT display supports multi-touch input up to 10 fingers. The Sony Xperia Z3's 20.7 MP camera with pulsed LED flash is capable of 4K video recording. The 2.2 MP front camera can record HD 1080p videos. Powering the device is a 3100mAh embedded battery that allows 14 hours talk time. 86.75%: This is a good rating above average. Nevertheless you should not forget, that 10-15% of all notebook-models get a better rating.